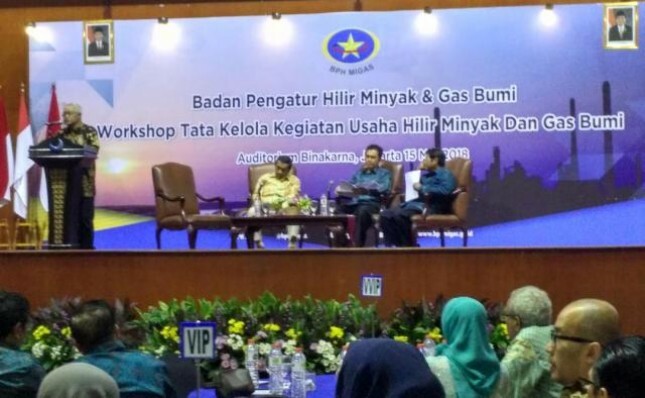 Badan Pengatur Hilir Minyak dan Gas (BPH Migas) berencana menambah kuota bahan bakar minyak (BBM) jenis premium tahun ini dari 7,5 juta kiloliter menjadi 12,5 juta kiloliter. INDUSTRY.co.id - Jakarta - Head of BHP Migas Fanshurullah Asa said there are currently 1,900 Public Filling Stations owned by PT Pertamina (Persero) no longer sell Premium type of fuel. This was conveyed in the 15th anniversary of BPH Migas at Bidakara Hotel on Tuesday (5/15/2018), that of the 3,900 SPBUs that partner with Pertamina in Java, Madura and Bali are no longer selling premium. He said the number of gas stations that do not sell Premium fuel is due to the migration of consumption from Premium to Pertalite. People prefer Pertalite rather than Premium when the price difference of both fuels is very thin, so gas stations take advantage of the moment by not selling Premium. BPH Migas will encourage 1,900 retail outlets to sell Premiums, along with the completion of the revision of Presidential Regulation No. 191 of 2014 on fuel distribution. In the near future, BPH Migas will call the Pertamina Board of Directors to prepare the distribution of Premium. "We are given the mandate to guard this despite not yet waiting for the Presidential Regulation and the Minister of Manpower and Transmigration on Wednesday, I ask the President Director (Pertamina) to come," he said.